Aston Martin Racing Academy driver Ollie Wilkinson will begin his debut British GT Championship campaign at Oulton Park on 20-22 April, where the season opener will mark the 22 year-old’s inaugural race outing in the Optimum Motorsport-run Aston Martin Vantage V8 GT3. The only AMR Academy GT3 driver in the series, Wilkinson returns to the British GT paddock for the first time since his Ginetta GT5 Challenge rookie year in 2017, to contest the Silver Cup alongside teammate and former champion, Bradley Ellis. Despite still being a relative newcomer to sportscar racing, the young Yorkshireman has already achieved noteworthy results and can be counted among Europe’s GT3 class winners. In their maiden International GT Open season last year, Wilkinson and Ellis impressed with a brace of Pro-Am wins and podium finishes, and the Optimum Motorsport duo are planning to add British GT honours to their CVs in 2019. 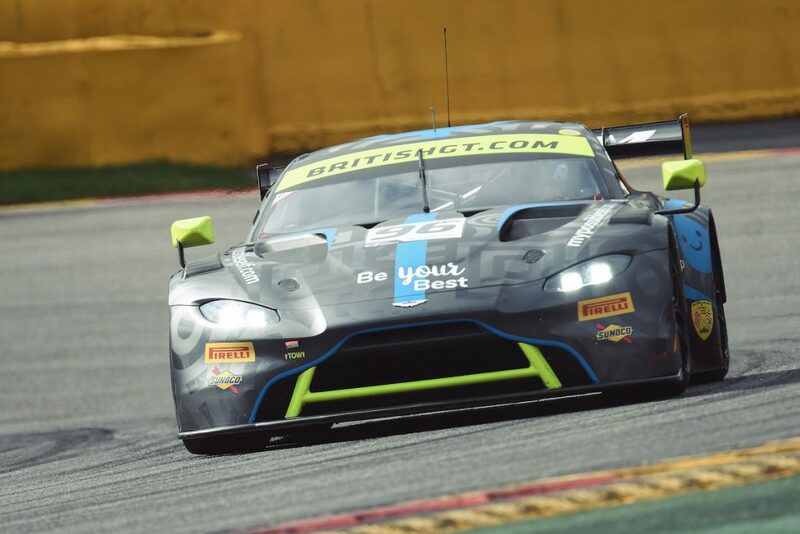 Equipped with the stunning all-new Aston Martin Vantage GT3 for his third season of racing, Wilkinson has been getting to grips with his new machinery in recent testing at Oulton Park, Silverstone and Spa. However, the first British GT round at the challenging Cheshire circuit will be his first opportunity to clock-up some race mileage and gauge the competition. Backed by My Possible Self – the mental health app – Wilkinson is counting down the days until he can make his dream of competing in the British GT Championship come true. “The first time I went to Oulton Park to see the British GT cars, I didn’t dream that less than two years later I would be driving one at the pinnacle of British motorsport as an Aston Martin Racing Academy driver,” said Ollie. “It’s going to be a big year adapting to a new series and learning the Aston Martin Vantage GT3, but testing has gone well, I’ve got a good feel for the car and I’m building my confidence with every outing. Aside from mastering the car, my biggest challenge will be battling against a vastly more experienced field of drivers who have been racing in the series for years. Teammate Ellis, who has mentored Ollie since he began to pursue his racing ambitions, added: “I’m really looking forward to our British GT debut at Oulton Park. We are a little unsighted knowing where we’ll be as a Silver-Silver pairing with the weight penalisation that carries, but I’m confident that we can be strong over race distance, particularly over the two-hour events. Wilkinson and Ellis will start their first British GT Championship weekend with qualifying from 15.15 on Saturday 20 April ahead of two one-hour races at 11.15 and 15.35 on Bank Holiday Monday, 22 April. Catch all the action live via https://www.britishgt.com/live or the British GT Facebook page.